Located in Panama City, Florida the Mallory Law Firm specializes in Family Law, Real Estate Law, Litigation, Estate Planning & Probate, as well as other practice areas. Call us today to schedule a consultation! 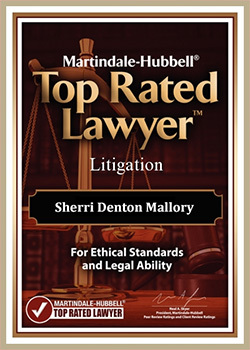 Sherri Denton Mallory is a highly experienced attorney with over 27 years of legal experience. Specializing in matters of Family Law, Real Estate Law, Litigation, and Estate Planning & Probate, the Mallory Law Firm is dedicated to clients by handling their cases in a competently, efficient, and effective manner. For more information on our top-rated legal servcies for the Panama City and surrounding areas, contact us today at 850-747-8733. Very competent lawyer to handle any legal matter. She really helped my family. I would highly recommend this firm.